NHDD is an initiative to encourage people to express their wishes regarding healthcare and for providers and facilities to respect those wishes, whatever they may be. It’s important to understand that NHDD is not only about end-of-life care but is meant to reach a much broader spectrum of individuals so that every individual may have their healthcare wishes met. 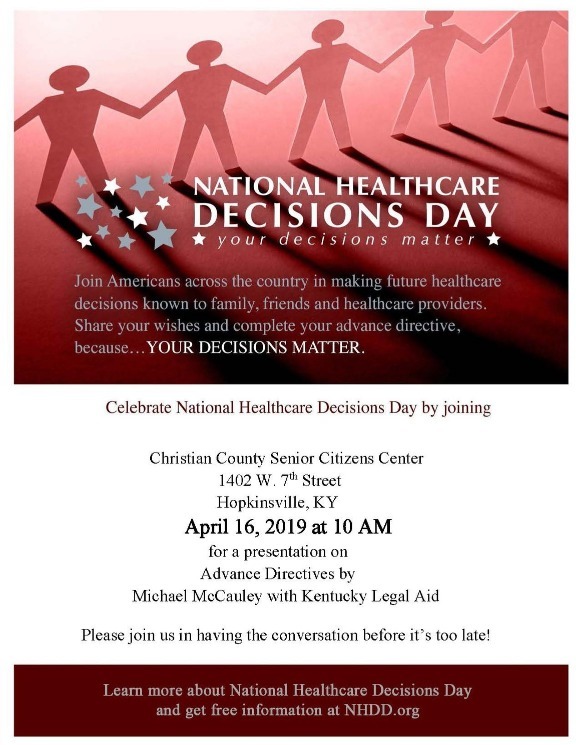 Celebrate National Healthcare Decisions Day by joining the conversation on April 16, 2019 at 10 am. Get more information at NHDD.org.